With this beautiful facsimile edition, Damiani brings the classic 1959 photo-book back into print. 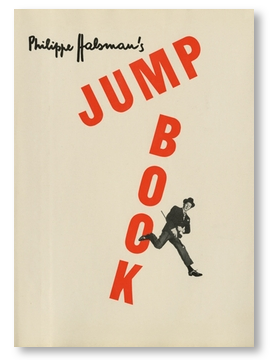 Philippe Halsman’s Jump Book gathers nearly 200 Halsman portraits of famous subjects in midair. These uniquely witty and energetic images of airborne movie stars, politicians, royalty, artists and authors have become an important part of Halsman’s photographic legacy. Daughter of the photographer, Iréne Halsman will give a talk at le Jeu de Paume, Friday October 23, 18:30, at Jeu de Paume, Paris. 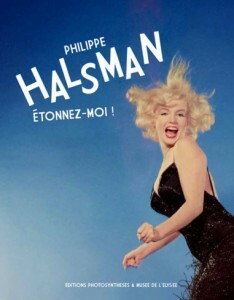 Learn the back-stories of the making of some of Halsman’s most treasured pictures! Lecture will be in English and French. 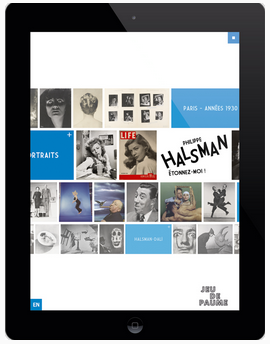 The official app from Le Jeu de Paume, it accompanies the exhibition and is available free for iPhone and Android . 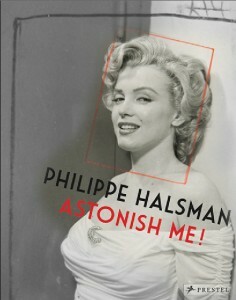 HALSMAN – ASTONISH ME! / ÉTONNEZ-MOI! 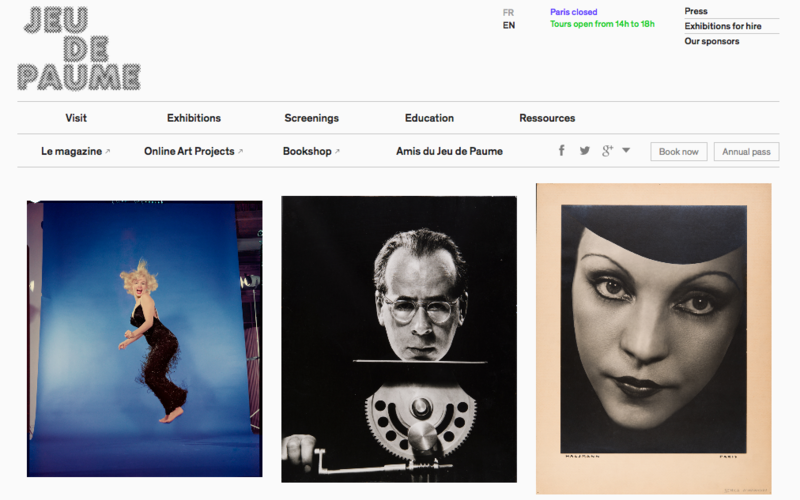 This major retrospective exhibition features more than 300 pieces (original prints, contact sheets, mock-ups) highlighting Halsman’s creative process since his debut in Paris in the 1930s to his successful New York studio activity between 1940 and 1970. The show is produced by Musée d’Elysée, Lausanne, Switzerland, where it opened in 2014, and will travel to The Jeu de Paume (Paris), and Kunsthal Rotterdam (The Netherlands) in 2015, CaixaForum (Barcelona and Madrid) in 2016-2017. The exhibition catalogue is published in French by ÉDITIONS PHOTOSYNTHÈSES and in English by PRESTEL, including essays by Sam Stourdze, Anne Lacoste, Marc Aufraise, and the Halsman family.